Dylan is a big guy. Fifteen years old, but well over six feet and almost 300 pounds. Coach wants him for the football team and everyone assumes he must already be on the team. 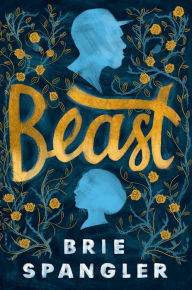 Hairy as an animal, the kids at school call him “beast.” But no one cares that he’s intelligent, dreams of attending school in England on a Rhodes Scholarship, or that he misses his Dad. That changes when he meets Jamie, a beautiful girl who for some crazy reason seems to actually like him! Dylan can’t believe his luck. But then Dylan’s friend JP points out the obvious thing that Dylan himself has missed all along: Jamie is transsexual. Dylan is initially horrified, but ultimately confused as, even knowing Jamie's sexual identity, Dylan finds that he really is still attracted to her. And with that twist, the story proceeds into fascinating new territory, becoming more than a tale about a large boy who has trouble fitting in. Like the novel's inspiration Beauty and the Beast, it is a love story about two outsiders who are flawed heroes. Dylan has a good heart but he’s no angel and the strain he goes through to reconcile his honest affection for Jamie with his revulsion at the thought that he might not be “straight” (or whatever loving “a girl with boy parts” actually means) makes for palpable drama. Further complicating matters (sometimes unnecessarily) are his helicopter mom and his conniving duplicitous best friend JP. I say “unnecessarily” because while JP certainly contributes plenty of villainous plotting, this is not a story that really needs it. Far more interesting is the relationship between Dylan and Jamie – which is touching in a combustible adolescent way, but also deftly deals with issues that grownups can’t offer much help on (despite Mom’s best efforts). As more and more books about teens struggling with gender identity come out, there is definitely space for this new one that explores how a straight male teen adjusts to the idea of being attracted to a transsexual peer.